Disney is losing big money on streaming — and it hasn’t even launched Disney+, its new, trademark streaming service, yet. The Mouse House lost more than $1 billion in 2018 combined between Hulu and BAMTech, the technology that powers its ESPN+ streaming service, according to an SEC filing on Friday. Hulu drove a $580 million equity investment loss during Disney’s fiscal year, which ended on Sept. 30, while BAMTech was the primary reason for a $469 million loss in its direct-to-consumer segment. Disney owns a 30 percent stake in Hulu, which is set to double after its buyout of much of 21st Century Fox’s assets. Hulu recently boasted that it hit 25 million paying subscribers across all its products, including its $7.99 a month base subscription and its $39.99 per month Hulu with Live TV option. Hulu has gained fans and critical acclaim thanks to “The Handmaid’s Tale,” its bedrock original series, but hasn’t been able to turn a profit, with the service on pace to lose $1.5 billion during its fiscal year. Disney’s billion-dollar loss on Hulu and BAMTech comes as it prepares to debut Disney+, its streaming answer to Netflix, later this year. Disney+ — along with housing titles from Disney brands including Marvel, Pixar, LucasFilm and its own vault — will feature a number of original productions. 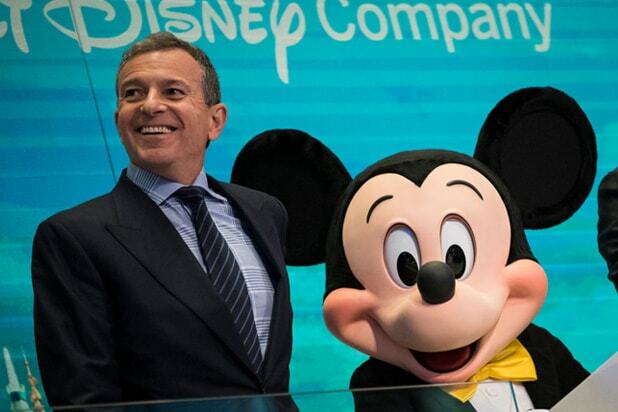 In late 2017, Disney chief Bob Iger said the plan is to price its streaming service “substantially below” Netflix, which now has a high-end plan of $15.99 per month, after raising its prices last week. "The Mickey Mouse Club" first premiered in October 1955 under the leadership of the one and only Walt Disney. 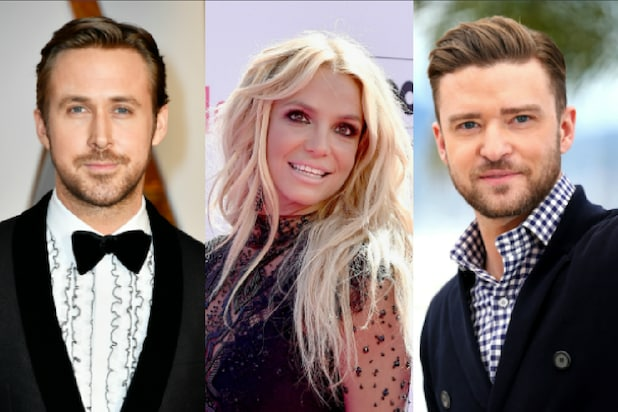 The long-lasting variety show served as incubator for more than a few major future stars throughout its run, and during its second iteration in the 1990s, Justin Timberlake, Ryan Gosling, Britney Spears and Christina Aguilera all shared airtime as Mousketeers. Here's a look back at the biggest stars who made appearances on the show. Funicello joined the Mousketeers in 1955 at the age of 12 after being personally discovered at a ballet performance by none other than Walt Disney. She quickly became one of the show's most popular performers, receiving 6,000 fan letters a week, along with wristwatches and a few engagement rings. Funicello went on to star in several Disney-produced serials and movies, including “The Shaggy Dog” and “Babes in Toyland,” and then switched gears to costar in a number of popular “Beach Party” movies alongside Frankie Avalon. With minor exceptions, including commercials for Skippy Peanut Butter, Funicello largely retired from acting when she married at 22. She was diagnosed with multiple sclerosis in 1993 and died from complications of the disease in 2013. Grady got his start as a Mouseketeer and later scored a starring role on “My Three Sons” from 1960-1971, playing Robbie for more than 300 episodes. He also appeared in “Mr. Novak” and “The Rifleman." One of the original 24 Mousketeers, Crawford was released from his contract after the first season and went on to star in "The Rifleman" alongside fellow MMC alum John Grady, for which he received an Emmy nomination at the age of 13. Crawford also had a successful recording career with several Billboard Top 40 hits like "Cindy's Birthday" and "Rumors." Bennett became a Mouseketeer for the show's revival in 1991 (titled "The All-New Mickey Mouse Show"). She went on to play a recurring role as Nicole on “The Jamie Foxx Show" and also joined R&B group En Vogue in 2005 before leaving the group and going solo in 2008. Russell appeared on "The All Mickey Mouse Show" at age 15 and went on to become one of the biggest TV actresses of her generation. She headlined the WB drama "Felicity" and recently wrapped up her role as Russian spy Elizabeth Jennings on FX's popular Cold War drama "The Americans." Now one of Hollywood's favorite leading men, Gosling appeared on the third iteration of “TMMC” for two years after attending an audition for the show in Montreal. He became particularly close with castmate Justin Timberlake -- whose mother even became Gosling's legal guardian for six months when his own mother went back to Canada for work reasons. Gosling went on to star in “Are You Afraid of the Dark,” “Breaker High” and “Young Hercules.” As an adult, Gosling gained worldwide prominence through leading roles in indie and commercial hits such as “The Notebook,” “Blue Valentine,” “Crazy, Stupid, Love” and "La La Land." Luca met future bandmate Justin Timberlake during his stint on the show from 1991-96. He shot to stardom as a member of N'Sync in the late 1990s. Spears appeared on the show from 1993 to 1996 and soon went on to become one of the best-selling artists of all time. She has enjoyed continued success despite her turbulent personal life, earning a Grammy and a star on the Hollywood Walk of Fame, in addition to selling more than 100 million albums worldwide.